Mevadhashma offer the High Voltage Rectifier and supplier is one Roof Solution of the global market and in the process we have joint venture and established cordial business relationship. We can offer ESP Transformer Rectifier suitable for ESP OEM majors’ like ALSTOM (GLOBAL), FLSmidth, GE Energy, Schneider to name a few. Also we can offer directly to industrial segments for ESP application to CEMENT Plants, THERMAL Power Plants, STEEL plants, COGEN plants suitable for ALSTOM INDIA, THERMAX, BHEL, ACC, ELEX India Esp's, etc. Our offered rectifiers are primarily designed for ESP power supply applications and over the years have also developed customized rectifier sets for research application in organizations like Institute of Plasma Research and BARC. As a quality-oriented organization, we are focused to provide our clients excellent quality ESP Control - Precision Series Controller. This controller is manufactured using top quality raw material and latest technology keeping in mind the set norms of industry. The offered controller is well known among patrons for its flawless performance & long service life. 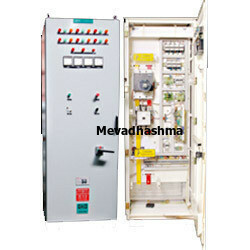 We are giving this controller to our customers in varied specifications at market leading rates.